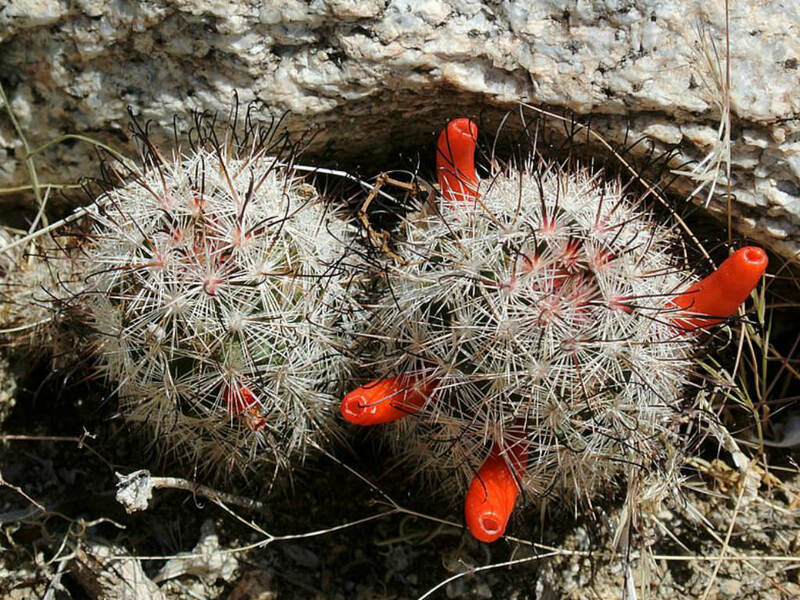 Mammillaria tetrancistra is a fishhook cactus, with a generally single cylindrical stem up to 10 inches (25 cm) tall and up to 3 inches (7.5 cm) in diameter. Each cluster of spines is made up of 3 or 4 dark, hooked central spines and many straight, white radial spines. 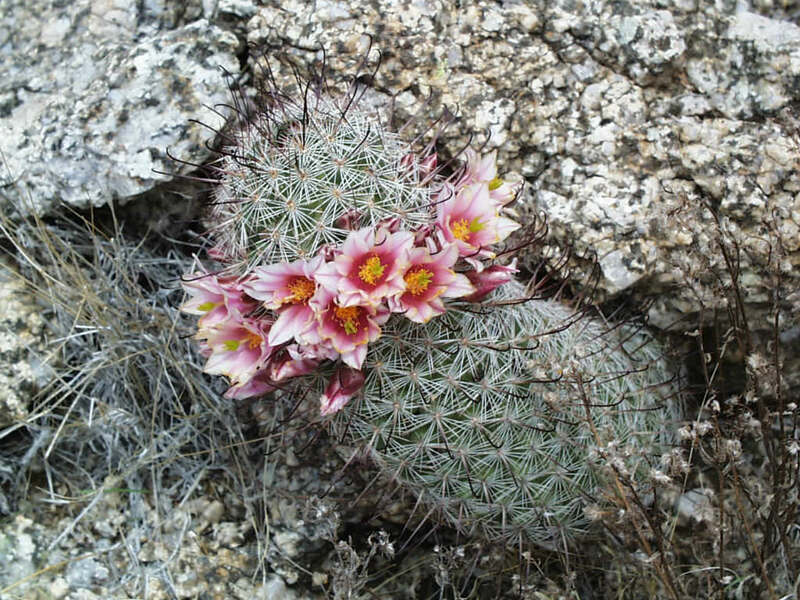 The flower is up to 1.6 inches (4 cm) wide and pink to lavender in color. The fruit is red, shiny, and fleshy and contains many black seeds. 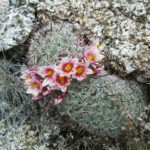 Native to the Mojave and Sonoran Deserts of northern Mexico and the southwestern United States. 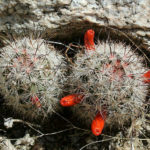 Next Article Why Do Christmas Cactus Leaves Turn Red?